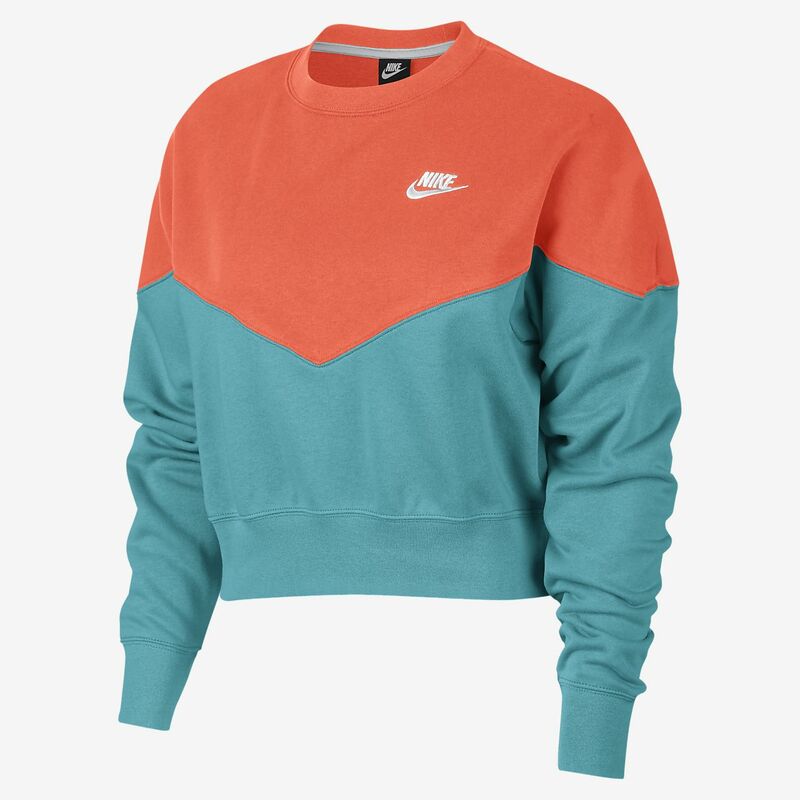 The Nike Sportswear Heritage Women's Fleece Crew features soft fleece in a relaxed profile for all-day comfort. The Nike Sportswear Heritage Women&apos;s Fleece Crew features soft fleece in a relaxed profile for all-day comfort. Fleece fabric feels soft and comfortable. Loose fit offers generous room to let you move freely and comfortably.